A Steal; Detached Home with Pool! • 122 sq. m., 3 bath, 3 bdrm 2 story - €190,000 EUR - Title Deeds - Reduced! 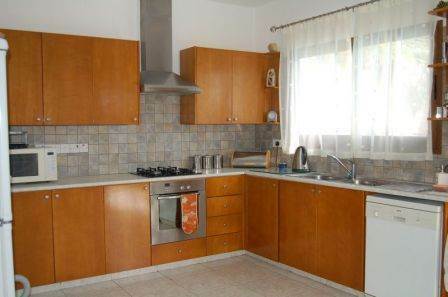 Timi , Paphos - This home is in a great location and great value for money. It was built in 2002 and is in great condition. The open plan living room, dining room and large kitchen area with lots of work space and lovely countertops are a great place to relax and enjoy life! Timi is a great area 15 minutes to Paphos town and 30 minutes to Limassol and only 10 minutes from Paphos airport. All amenities are close by. Title deeds are available. This property won't last long!